As the cannabis industry anxiously awaits direction from the White House, it appears that states are not going to be as patient. As more states move forward with cannabis bills, we’ll continue providing relevant updates on the latest cannabis laws and legislation that affect our industry and your business. Something we missed? Let us know here and we’ll make sure to include it in next week’s update! Texas bill HB63 that was introduced back on November 11th, 2018 relating to the civil and criminal penalties for possession of certain small amounts of marijuana and an exception to prosecution for possession of associated drug paraphernalia; creating a criminal offense, is scheduled for the testimony to be heard on today March 4th, 2019. Georgia bill HB324 on Tuesday was approved. A bill that would allow medical marijuana to be grown, manufactured and distributed in the state. Kentucky House Judiciary Committee finally held a vote on a medical cannabis bill on March 6, 2019, with less than a week remaining in the legislative session. The result was overwhelming, a 16-1 vote in favor of bill HB 136. Oklahoma bill HB2612 was passed. Gov. Kevin Stitt signed the “Unity Bill” into law which will establish an extensive medical marijuana framework in Oklahoma. Georgia Bill HB324 was approved on Wednesday by Senate committee which would allow a limited in-state production and sale of medical marijuana. Marijuana Banking Bill Approved By Congressional Committee. Following multiple days of lengthy debate and consideration of several amendments, the House Financial Services Committee voted 45 to 15 to advance the legislation to the full body. Keeping checking back for more Bill Tracker Updates! Make sure you’re following BioTrackTHC social media for regular news and updates, and click here to subscribe to our CannaPulse newsletter to get updates sent directly to your inbox each week! 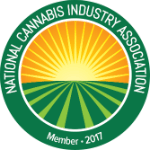 Check here for previous cannabis bill tracker updates. Learn more about BioTrackTHC’s Seed-to-Sale Tracking and Cannabis Business Solution that can help business owners stay compliant with all of their state’s respective regulations and compliance codes.